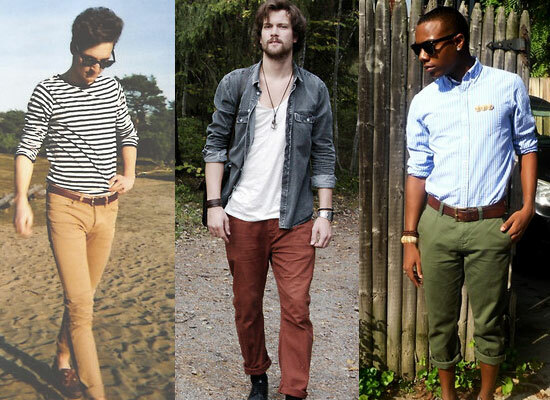 "Chinos" or "Khakis" like most clothing items got its origins from the military. 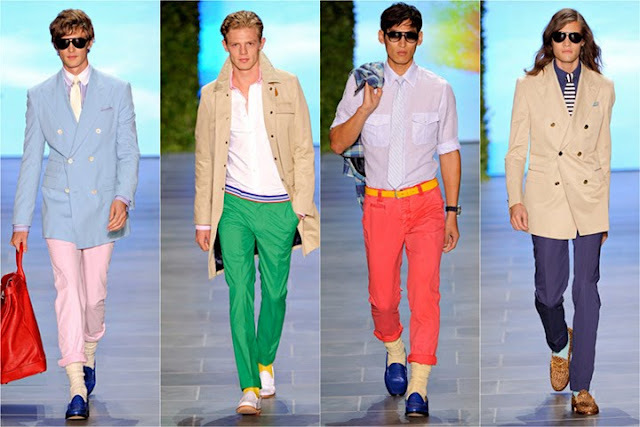 During the 1840s, British soldiers fighting in the Punjab realized that their white and scarlet uniforms made them easy targets, so they decided to dye them to blend in with the natural terrain. 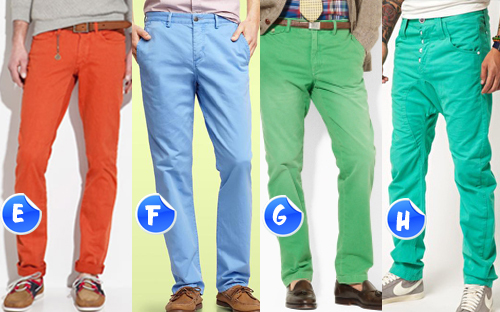 Nowadays colored chinos are essential to be deemed a "stylish" debonair. 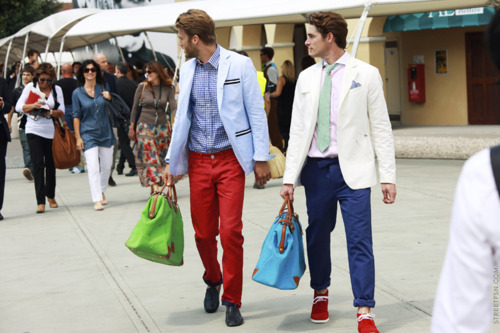 Once enjoyed by boat, golf, and polo enthusiasts now the world over can indulge in the trend that never goes out of style. 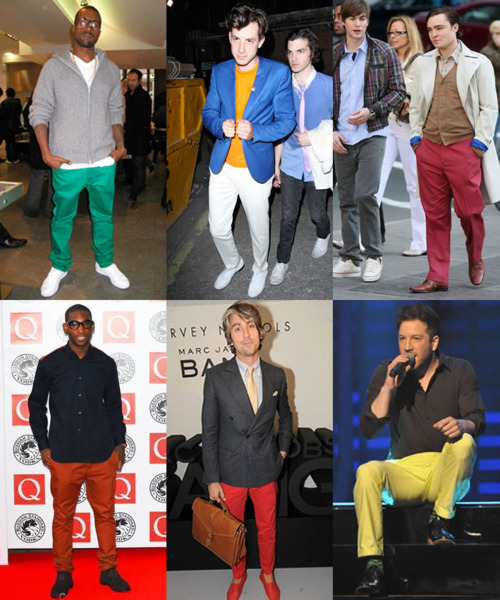 The pant has appeared on stylish celebrities ranging from Kanye West to Justin Timberlake and continues to grace the cover of men's magazines like GQ and Men's Vogue. 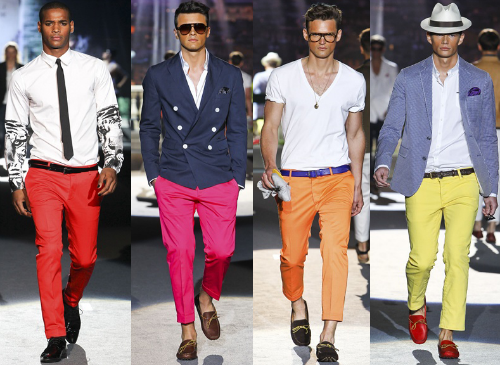 Top designers like Michael Bastian and Tom Ford have also incorporated the stylish slack in their collections. 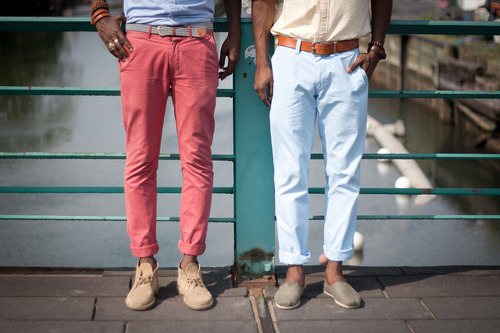 Tip: If you're shorter in stature you may want to skip cuffing your pants, this causes a break in the line of the legs which can work more against you than for you. 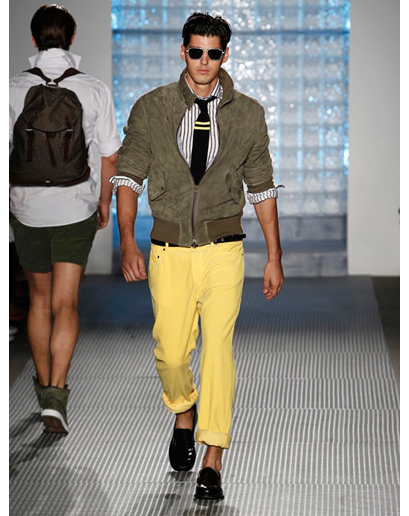 If you still want the cuffed look, try a single cuff that meets the top of your shoe. 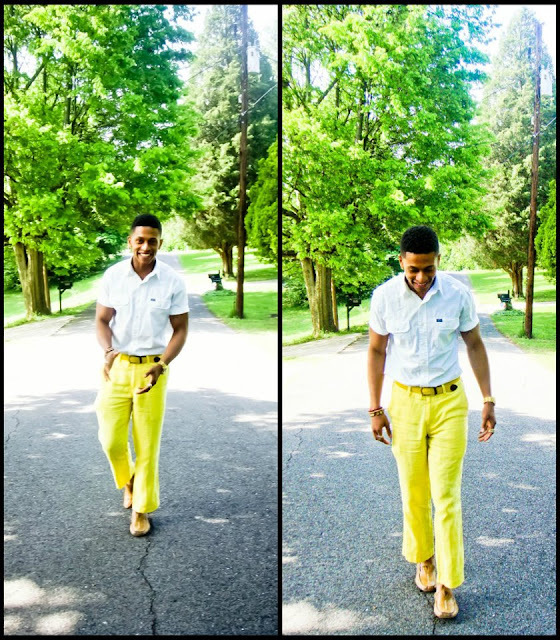 This classic pant will forever be a part of American men’s fashion! 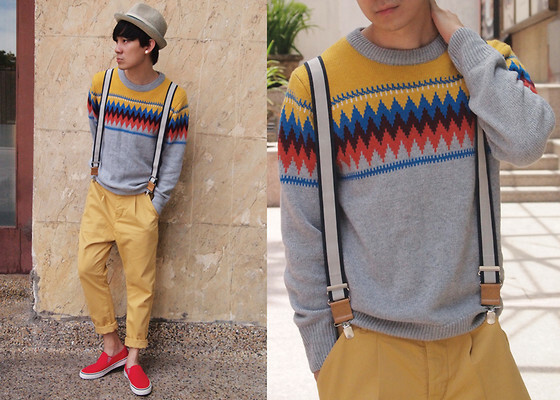 It's comfortable and simplistically fashionable. 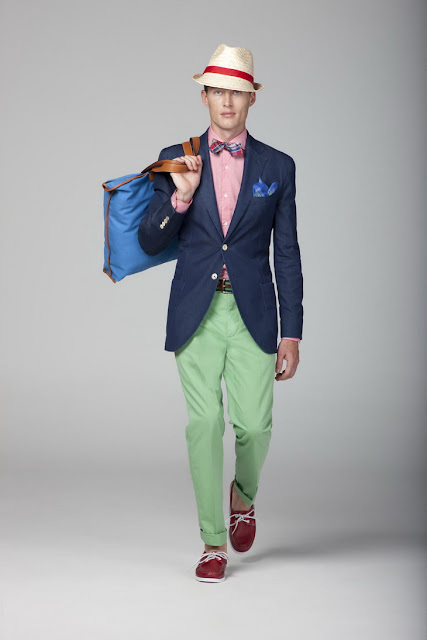 Remember no matter your personal style, make your mom proud by keeping it tailored! 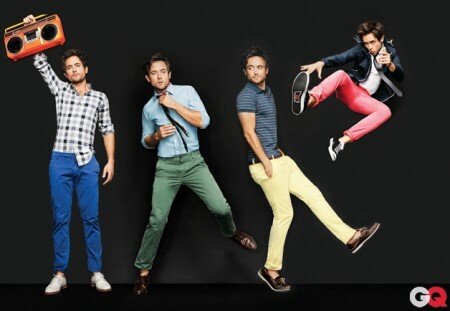 I never thought that those candy colored chinos will look good in men too! 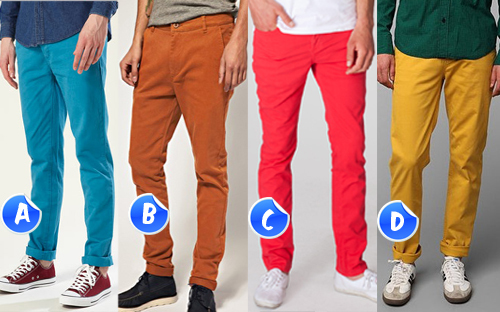 Must know wwhat to wear with chinos fast!